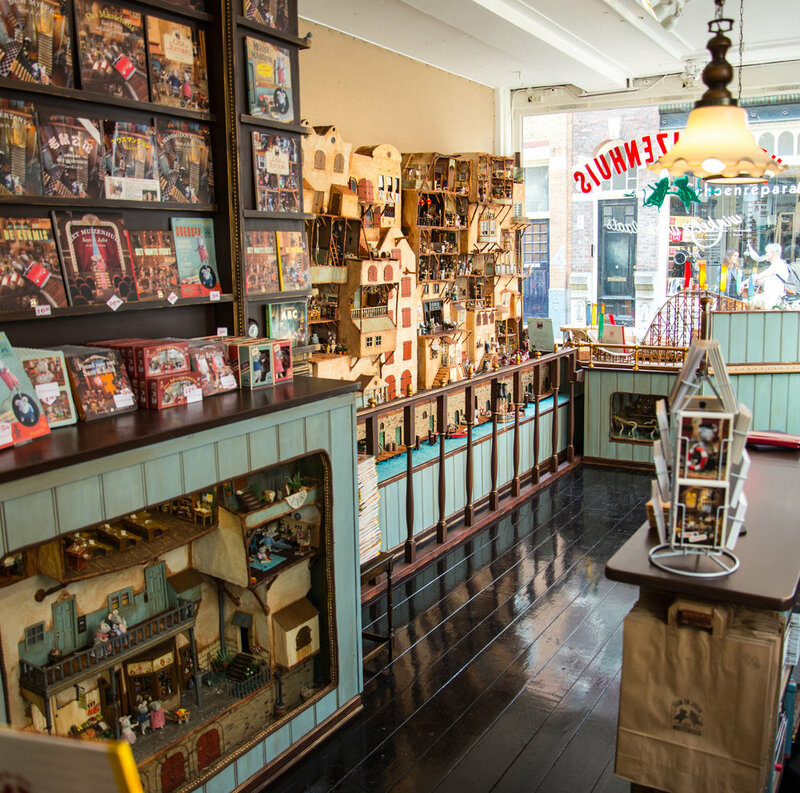 Did you know that you can visit The Mouse Mansion at two locations in Amsterdam? There is a big Mouse Mansion decor exhibited in the Central Library. In addition, we have opened our own Mouse Mansion shop & studio where you can admire the rest of the Mouse Mansion decors. We have opened a shop in the center of Amsterdam! Here you can see the decors that are built especially for the book series such as the circus, the theatre, the harbour and the fun fair. You can also learn how they are made and ask the creators questions. Of course you can buy the books (in several languages) and other Mouse Mansion goodies. This impressive structure is two meters wide and three meters high! It consists of more than a hundred rooms, hallways, factories and shops. It took Karina Schaapman years to build. The first book in the Mouse Mansion series was photographed exclusively in this decor. It is on permanent exhibition in the youth section of the Central Library in Amsterdam. Copyright © 2017, Studio Schaapman.